Solaroo Energy | Solar Panels Utah Colorado Idaho | Solar incentives in 2018 – How have they changed? Solar incentives in 2018 – How have they changed? This article was featured on ksl. The solar industry saw many changes nationwide in 2017. Changes came in electric rates as well as incentives relating to purchasing solar panels for installation on residences or places of business. For an update on incentives currently available in the solar industry, Kelly Curtis from Solaroo Energy, a South Jordan-based solar contractor, offered an overview. The mainstay of solar incentives is the Federal Tax Credit for 30 percent of the total cost of the solar system. This incentive has remained unchanged and will continue in 2018. 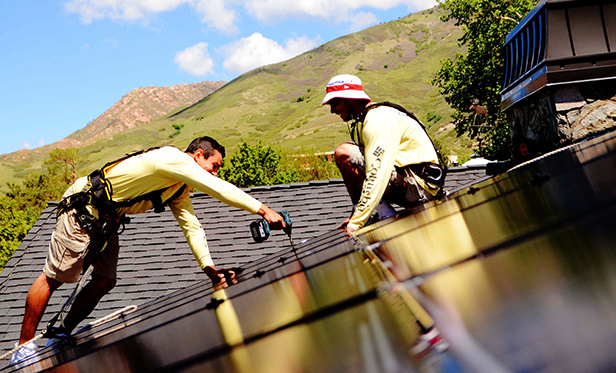 There have been changes to the Utah state tax credit regarding renewable energy projects, including solar power. Last year a decrease and phase-out schedule was passed, and the first step down occurs in 2018, stepping down from a $2,000 max tax credit to a $1,600 credit. It is scheduled to decrease every year by $400 until it phases out. That could be changing, however. Rocky Mountain Power, as a part of its published settlement a few months back, will use its political influence to try to keep the $1,600 tax credit from stepping down as dramatically. Most utility driven incentives have expired. But that doesn’t mean that there aren’t additional incentives to make the jump to solar. Battery backup systems are now becoming popular and qualify for the federal tax credit and additional incentives can be found from certain providers. Solaroo Energy offers a rebate of $500 to add any battery back-up to a solar system. Curtis also says solar doesn’t need as many outside incentives to compete with utility power. Colorado, for example, has no state tax credit — only the federal tax credit — and is a top 10 solar market in the country. “If solar power is cheaper than the utility, which it is, the added benefits of more energy independence, cleaner energy, and backup power will make it enticing for the masses,” Curtis explains. For more information about this article, please call 801-826-4888. Solar + batteries: Is renewable home backup power finally here? © 2019 Solaroo Energy | Solar Panels Utah Colorado Idaho.